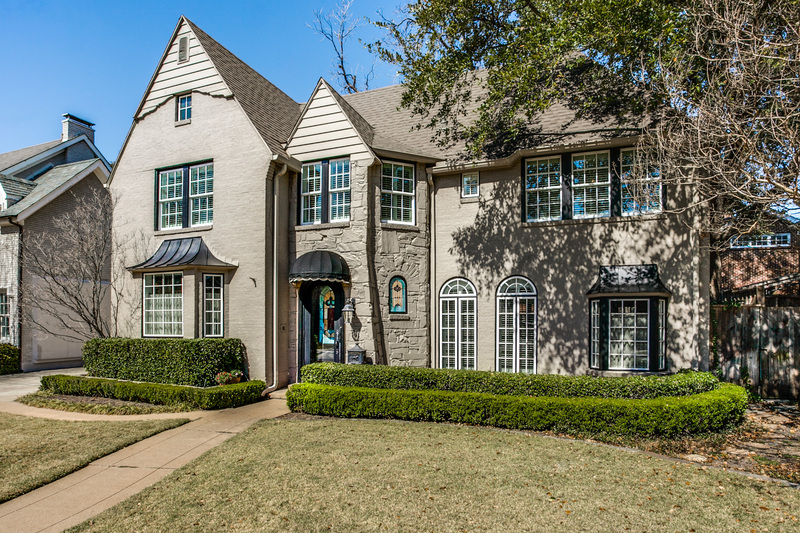 Situated in prestigious Highland Park conveniently located near Highland Park Village, Bradfield Elementary and Fairfax Park, 4424 Fairfax Avenue is a wonderful tudor residence nestled on a 65′-wide lot with fabulous drive-up appeal. The two-story home offers four bedrooms, 3.1 baths, an inviting entry, elegant formal rooms, two spacious dens, new gourmet kitchen with granite counters, premier stainless steel appliances and a breakfast area, generous-sized master bedroom showcasing an elegant bath and French doors, opening to a private balcony, three additional spacious bedrooms served by two baths, outdoor patio with a fountain, Mosquito Misting System and also overlooks lush landscaped grounds with beautiful landscaped lighting, and a two-car detached garage with guest quarters above. This is a perfect home for summer entertaining! !